The simple fact is: people donate more online. According to a recent report on philanthropy, the average online payment in 2004 was $116.65, compared with $89.25 for "off-line" transactions. 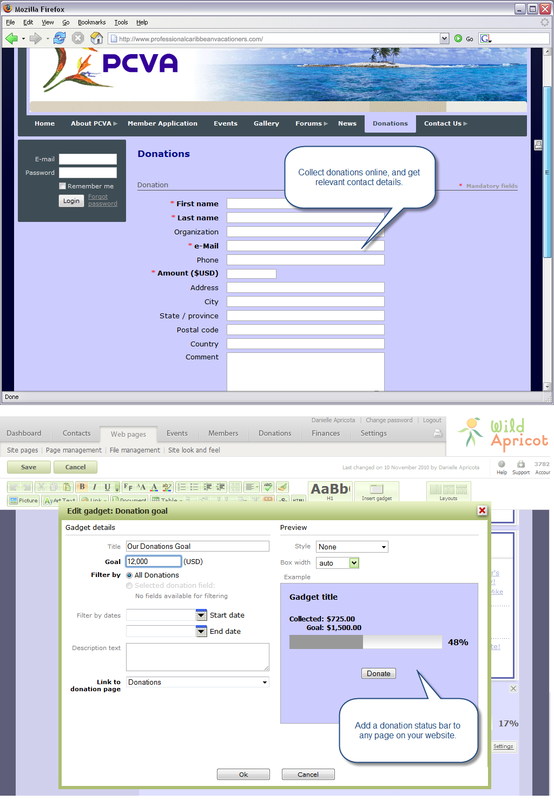 With Wild Apricot's online donation feature you can easily accept online donations with our secure system and leverage your database of donors. Wild Apricot automates online payments as well - see credit card payments page for more information on membership dues and event registration fees processing. 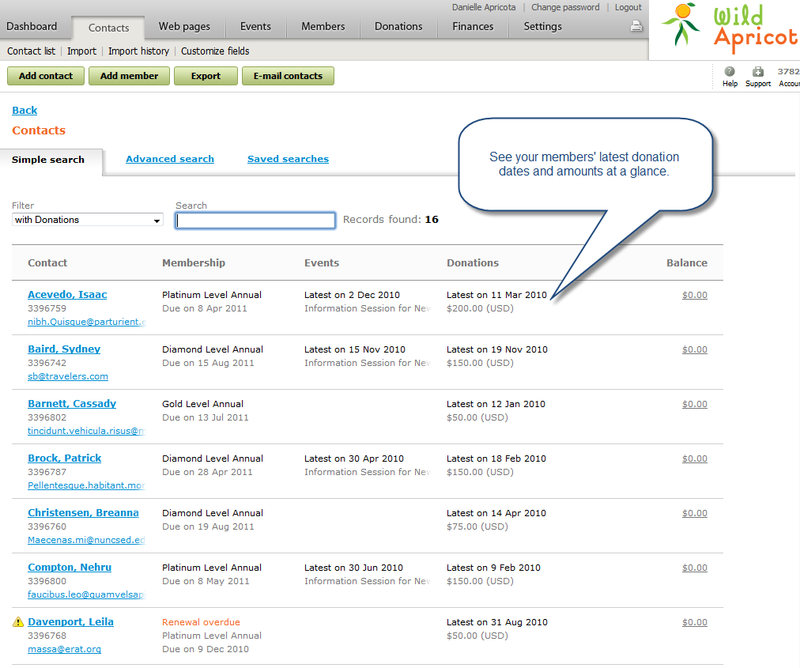 Create an online donation web page - and be ready to accept online donations in minutes. 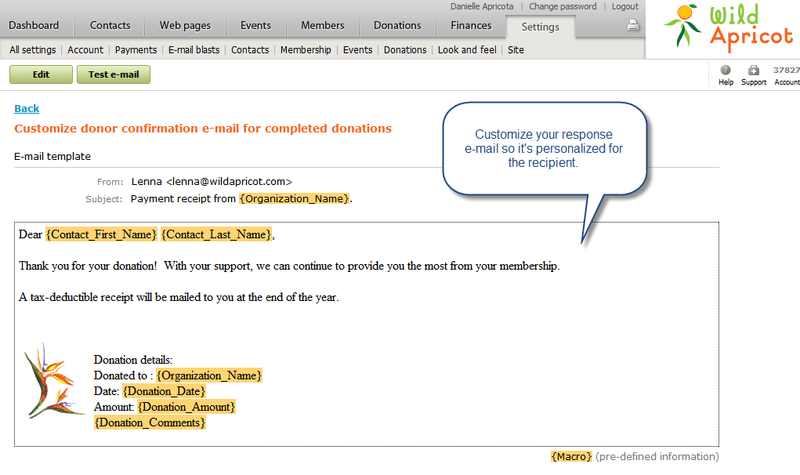 All donations are confirmed with an email receipt and stored in your donations database.